Busy Bees at Guildford Hanover House - Garden Project! 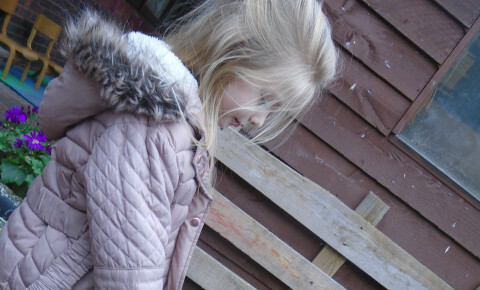 This month all 4 rooms in the nursery got given different areas in the garden to enhance the areas, making them bright and colourful and more engaging for the children. The Younger Babies room got our under shelter area which they have now made into a music and sensory area with a variety of kitchen utensils on the walls as musical instruments. The Older Babies room got the water, sand and reading area which is now very colourful with picture flash cards and key words for the children to learn. The Toddler room got the maths, literacy and construction area which is now engaging for children to sit down and participate in focused activities outside in these areas. 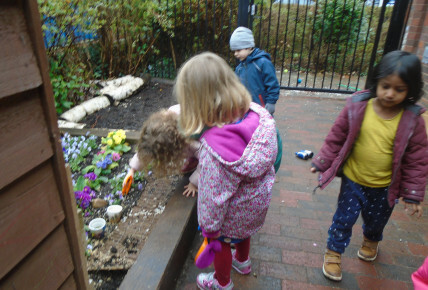 Our Preschool room got given the outdoor classroom under shelter area and vegetable patch which has now been transformed with lots of colourful flowers and a variety of different vegetables and herbs. 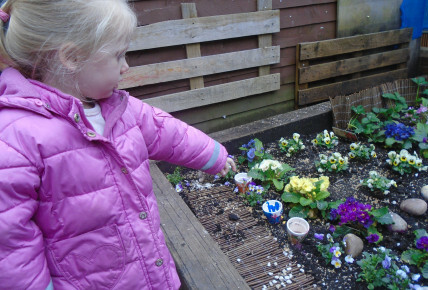 The preschool children had great fun planting and decorating their own terracotta plant pots. We have now also got a lovely handmade wooden friendship bench to help promote our preschool and toddler children to make new relationships with each other.